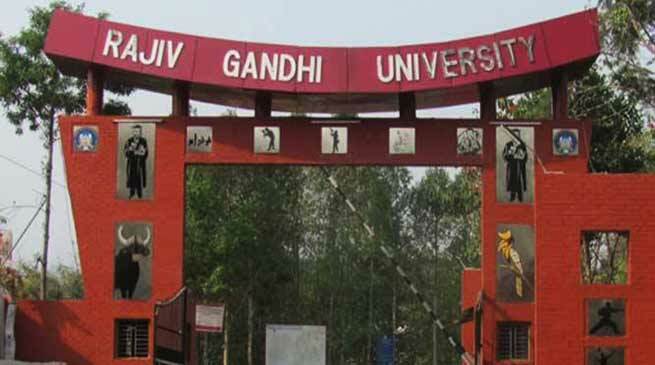 The XII edition of the Inter-College Youth Festival is being organised by the Rajiv Gandhi University ( RGU ) at its Rono Hills campus on 22-24 April 2018. Kiren Rijiju, Union Minister of State for Home will grace the Inaugural programme of the event as the Chief Guest. The biennial youth festival titled Cadence is organised by the University to foster a spirit of competition and camaraderie amongst students of all its affiliated colleges. Registrar Prof. Tomo Riba, who is also the Organising Chairman said that in all 15 colleges from across the State are expected to attend the event, each with a troupe strength of 20 students, accompanied by 2 teacher escorts. RGUSU President Giogi Aja shared that while the University students would not compete in the events themselves, the Rono campus is eagerly awaiting its guest participants. While Koloriang MLA Pani Taram will attend as Chief Guest of the cultural events on 23rd April, Arunachal Home Minister Kumar Waii will attend the Valedictory programme on 24 April as the Chief Guest. Participants will vie for awards in 6 cultural, 4 literary and 5 art events and for the title of Mr. and Ms. Cadence aside from the best Disciplined and Champion’s trophy.